The scars of the past will never determine the future. Nonu Ueni Fonoti tells us why. Despite being in jail for three decades in California, he is now using his testimony to empower other prisoners in Samoa and school students in Don Bosco. 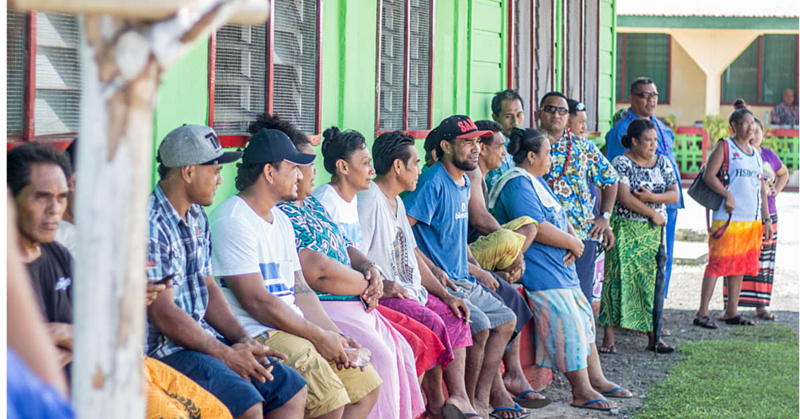 After returning to Samoa in 2017, he has worked closely with the Samoa Returnees Charitable Trust to explore possibility of establishing an Alternative Violence Program (A.V.P.) presence in Samoa together with other stakeholders. He is from the village of Sinamoga and has one child. Searching for better opportunities to support his family and the hope of a better life led him to the United States in the first place. He set off for greener pastures in the land of the freed and the home of the brave. Unfortunately he was anything but free. “The lifestyle in America is very different. It was kind of shocking for an island guy who has never been anywhere else. The responsibility was great. The whole plan changed because you have to become a responsible kind of guy,” said the 57-year-old. As a young man living life in the fast lane, he thought that marriage would make him escape his problems. Overworking and having his life built on the expectations of people caused his downfall, he said. “The pressure of responsibilities, obligation and expectations are what caused me to start drinking. Our culture as well is different, I was going to church. The perception, oh this guy got everything, so you try to keep that image. “I did not have a lot of sleep. I had one full time job and one part time and the school on the other hand. The expectation of our culture was I had to be in that church. They did not really accept the white girl that I married, but I still went there just to try to make everybody happy. “My wife was happy seeing me going to do church stuff and my responsibilities. I think I just felt too much pressure trying to keep the image. I was drowning in this black hole. I did not know what to do,” said Ueni. Witnessing violence was nothing new to him because he had experienced it at a young age. “The type of relationship between my parents was not healthy for me. My father abused my mom. I did not realise at that time that I got a mark out of this. “So every verbal argument with my wife it was an excuse for me to go out drinking with my friends and we were fighting. It was almost every week. “Next thing I know was constantly getting drunk. I never considered myself an alcoholic but on weekends it was becoming a habit. “I caught up with my friends to go drinking. When anything happened in the family I never really put hands on my wife because it was from my own bad experience in Samoa before. “The prison has been hell. It is a mad house. It was not easy for me. I did not know anything about prisons. I was just a boy caught up in this mess. It was a survival for everybody. As a Christian, he lost his faith. “When I got blamed for stabbing my neighbour when I did not do it, I was praying to God. The cops knew I did not do it, but they wanted me to break. That was my last word to God. God I am done. “That was how I learned to become a criminal. It seemed like everything I asked God for he was not giving it me. It seemed he gave me the opposite. 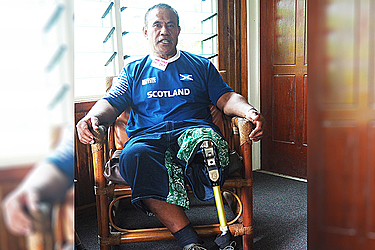 Mr. Fonoti felt heaven swept low when he lost his younger brother in 2012. “My turning point came when my younger brother died in New Zealand. It was the toughest time. The brother is a twin and they cannot read or write and I promised myself, when I grow up I am going to raise them. “In 2012, it was the first time I understood the people who I killed and I saw the pain death brings with it. Even though my brother died a natural cause, I felt the pain. “I am not the only one getting affected by the death of my brother, my whole family. This just hit me, this was when everything stopped. I started realising the people I hurt. In prison, for me that was a normal thing, if they hurt me, I go to hurt them. 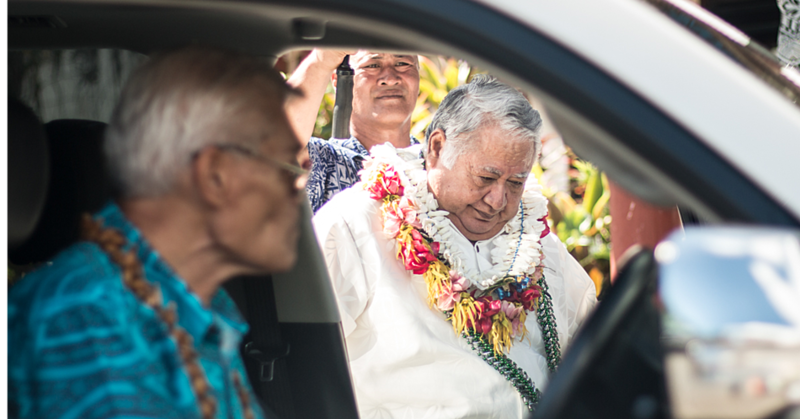 “I think the toughest thing for me is that I know my family is struggling here in Samoa. I was the guy to look up to and just not being there for them.